The University of Virginia neuroscience lab that discovered that the brain connects directly to the immune system now has found evidence that doctors could load up the brain with custom blends of immune cells to battle genetic disorders and neurodegenerative diseases such as Alzheimer's. The UVA researchers were able to "engraft," or establish, immune cells known as macrophages inside the brains of lab mice without the need for radiation. Until now, many scientists had believed this impossible – the damaging radiation, they thought, would be vital to allow the immune cells to travel past the brain's natural defenses. "There are certain diseases where we already know that [the presence of macrophages] is clearly beneficial, but irradiation is a massive barrier clinically," said researcher James C. Cronk, PhD, of the UVA School of Medicine's Medical Scientist Training Program. "This supports the idea that you could do this and get these cells in the brain without having to irradiate, which is a huge step forward in terms of making it feasible." The new research not only definitively establishes that macrophages can engraft into the brain without irradiation, but reveals what becomes of them once there. Previously, scientists had been uncertain if they would simply turn into another type of immune cell, known as microglia, that are abundant in the brain. The discovery that they remain a unique cell type suggests that doctors might be able to manipulate the mix to create custom immune responses to battle different diseases and disorders – and maybe even brain trauma. "There are groups [of scientists] that have gone back and forth publishing papers on Alzheimer's or ALS debating whether during the normal disease process these cells are coming in and replacing not all but some of the microglia," Cronk said. "If you find out that engraftment is detrimental and we figure out what's bringing them in, you might block it. Or you might want to increase engraftment, depending on the condition." 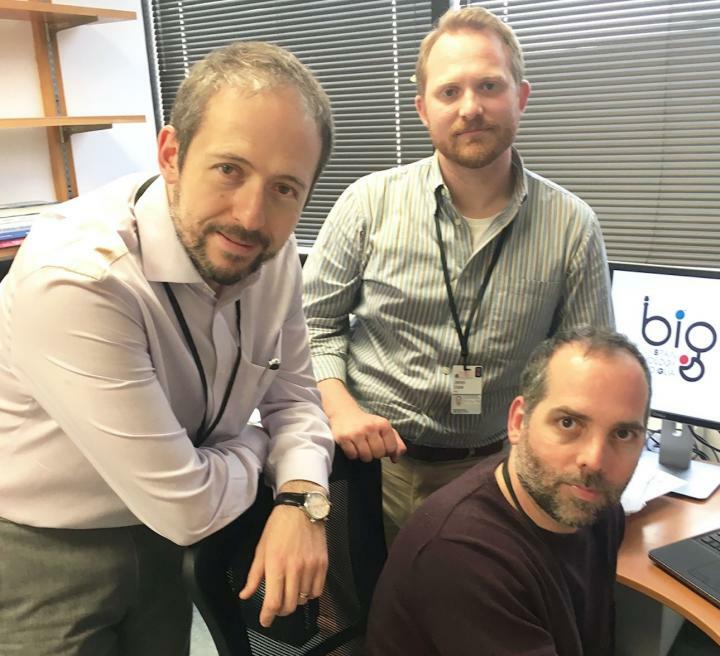 As part of their work, the researchers identified a "gene signature" to recognize and distinguish the enigmatic macrophages from other cell types, said researcher Christopher C. Overall, PhD, a computational biologist in UVA's Department of Neuroscience and its Center for Brain Immunology and Glia (BIG). "We identified a core set of genes for both the engrafting macrophages and microglia," he said. "Now, importantly, we can recognize engrafting macrophages as compared to microglia, and microglia really compared to anything." Lead researcher Jonathan Kipnis, PhD, chairman of the Department of Neuroscience and director of the BIG Center, noted that the ability to detect the cells may eventually allow doctors to predict patients' risk of neurological disease. "It is very possible that these cells somehow get into the brain and then either predispose the brain to disorder or protect the brain from disorder," he said. "One day we may be able to say you probably will not have Parkinson's because you have these cells in that area." Kipnis noted that the work represents an important interdisciplinary collaboration, bringing together scientists at both UVA's School of Medicine and UVA's School of Engineering and Applied Science. "The researchers in BIG had a fascinating image-analysis problem that no existing off-the-shelf software could solve," said Scott Acton, PhD, of the Engineering School's Department of Electrical and Computer Engineering. "If you think of microglia as resembling an octopus in shape, the BIG researchers needed to track the ends of the tentacles, the microglia processes, and to measure their velocities and find their destination. We were able to provide an algorithm and a computer program that we can now make available to other researchers through this publication." Cronk noted the collaboration has found answers to some major questions that have plagued brain researchers. "There is a very, very active area of research in terms of whether these macrophages are already present in neurodegenerative disease and whether they're beneficial or not," Cronk said. "We're establishing that yes, this is a unique cell type. … The next step is, OK, what are they doing in the physiology? Can they be artificially put there, or removed, as a therapeutic strategy?" The findings have been published online by the Journal of Experimental Medicine. The research team consisted of Cronk, Anthony J. Filiano, Antoine Louveau, Ioana Marin, Rachel March, Emily Ji, Dylan H. Goldman, Igor Smirnov, Nicholas Geraci, Acton, Overall and Kipnis. The work was supported by the National Institutes of Health, grants AG034113, NS081026, T32-AI007496 and 5F30AI109984, and the Hartwell Foundation.